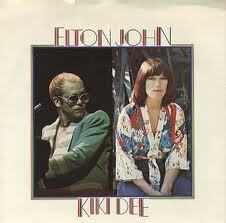 Elton John & Kiki Dee’s ‘Don’t Go Breaking My Heart’ became the 16th song to top our charts which had also topped the US and UK charts as it knocked Glenys Lynne’s ‘Ramaja’ from the number 1 spot after the latter had been there for 3 weeks. Sadly this would be the last time we would see a local female at the top of our charts. The Brits moved ahead of the Americans for weeks at 1 after the 2 nations had been tied at the top of that list for 10 weeks. This was their 208th week at 1 while the Americans were stuck on 207. ‘Arms Of Mary’ by the Sutherland Brothers & Quiver was the climber of the week as it moved up 5 places from 19 to 14. Cliff Richard’s ‘Devil Woman’ was a star rater for the 3rd week running as it moved up 4 from 8 to 4 and it was joined as a star rater by Caroline du Preez & Tommy Dell’s ‘Golden Ring’ which climbed 5 from 16 to 12. J.J. Barrie’s ‘No Charge’ was the faller of the week. It dropped 7 from 10 to 17. This was the 21st time a song by a Canadian artist had been the faller of the week. This figure includes the 2 times that the duet between Steve Karliski and Mimi Roman was the faller twice where Karliski was Canadian, but Roman was American. ‘No Charge’ was, however, the oldest on the chart having been with us for 15 weeks. It took over this title from The Bellamy Brothers’ ‘Let Your Love Flow’ which fell out of the top 20 after a run of 16 weeks and a peak of 1 for 1 week. There were still more hits to come from them. Cliff Richard’s run of 3 weeks with 2 in the charts came to an end as ‘Miss You Nights’ dropped out of the top 20 after having spent 14 weeks with us and peaked at 2. His 17th hit to make our charts, ‘Devil Woman’ was, as mentioned above, at 4, its highest position to date, and Cliff was yet to see a chart topper. There was more to come from him. The first new entry was ‘In Zaire’ by Johnny Wakelin. The song was the second that Wakelin had written about the famous boxing match between Muhammad Ali and George Foreman that took place in Kinshasa in what was then known as Zaire (now the Democratic Republic Of Congo aka DRC). Wakelin’s first song about what became known as ‘The Rumble In The Jungle’ was ‘Black Superman (Muhammad Ali)’ which gave him a number 7 hit in the UK. ‘In Zaire’, released a year and a half later went 3 places higher. The song also went to number 2 in Switzerland, Germany, Austria, Holland and Belgium and made number 8 in Sweden. In 2010 Wakelin changed the lyrics and re-recorded it as a World Cup song for England, calling it ‘Bring Back The Glory (In South Africa)’. The England team did slightly better in the world cup (being knocked out in a 4-1 defeat to Germany in the ‘Round Of 16’) than the song did as it failed to chart in the UK. The second new entry was Roy Bulkin’s 2nd SA chart hit in the form of a cover of the Walker Brother’s 1966 classic track, ‘The Ain’t Gonna Shine Anymore’. The song was written by Bob Crewe and Bob Gaudio who, as song writers, had brought us 5 hits each, although this was the 3rd of those 5 that they had written together. Gaudio was a member of The Four Seasons and the first recording of ‘The Ain’t Gonna Shine Anymore’ was by Four Seasons’ lead singer Frankie Valli in 1965. Robert Schroeder produced Roy Bulkin’s version. The Walker Brother’s version topped the UK charts and got to 13 in the US. Cher and David Essex have also charted with it in the UK going to 26 and 90 respectively. Roy Bulkin moved the number of hits in the top 20 by local acts onto a record equalling 12. It had been 142 weeks since we had last seen this many. Also, last week the local acts set a new record for points gathered in a week as they clocked up 112 but this week they added 11 to that total making this the best ever week for them with a total of 123 points. Abba had shared 13th place on the weeks count list last week with Neil Diamond and Tommy Roe, but this week they moved their weeks count on to 93 which meant that they held on to 13th place while the other 2 dropped to 14th. Bobby Angel became the 58th act overall and the 14th local one to reach 500 points. His total moved on to 506. Based only on the top 20 (i.e. ignoring positions 21 – 30 once the charts were extended), in total only 18 local acts would reach this milestone. This week also saw the 3rd occasion where the top song and the bottom song on the chart had the top 2 longest titles (ignoring spaces and punctuation). This week the longest title on the chart was ‘The Sun Ain’t Gonna Shine Anymore’ at 20 with 27 characters and the second highest was ‘Don’t Go Breaking My Heart’ at 1 with 21 characters. The 2 previous occasions when this had happened was on 2 January 1970 when ‘Na Na Hey Hey (Kiss Him Goodbye)’ by Steam at 20 and ‘He Ain’t Heavy, He’s My Brother’ by the Hollies were the longest and second longest titles and then a few weeks back on 28 May 1976 when we had ‘Happy to be on an Island in the Sun’ at 20 as the longest and ‘December 1963 (Oh, What a Night)’ at 1 as the second longest. This entry was posted in 1976 and tagged Don't Go Breaking My Heart, Elton John, Kiki Dee, SA Top 20, South Africa, Springbok Radio. Bookmark the permalink.